Committing to living a healthier lifestyle is a constant (yet sometimes wavering) goal for many. If you’ve tried making healthier decisions before and failed, you might be wondering why you should bother trying again. Revamping your lifestyle overnight is like jumping into the deep-end when you have never swam. It’s always best to just dip your toe in first—small steps will help you be successful. Our favorite way to kickstart a healthy lifestyle? Make simple, Happsy choices! Let’s be honest, you aren’t going to suddenly go from fast food to only eating kale overnight. Trying to be all or nothing, sets your attempt at a healthy lifestyle up for failure. Eventually you may only eat meals full of lean proteins and greens, but work up to it by making Happsy choices. Start by trying to change your snacks. When you go to pick up chips to throw in your bag for work, opt for almonds, fruit, or veggies instead. We understand many of you may have long commutes to work or live in an environment where it’s not always walking weather. We don’t expect you to bike or walk for hours in the rain or snow. But if it’s appropriate, and you know it will be a 15 minute walk versus a five minute drive or bus ride, opt for the movement! This is a great Happsy choice that will make incorporating exercise into your routine easy and eventually get you conditioned to get back to the gym! There’s nothing wrong with occasionally checking in on old friends or posting a selfie, but many studies have found that a reliance on social media not only has negative effects on our mental health, but checking it too late also can be detrimental sleep. The hours we spend scrolling and liking could be used to dive into new hobbies! Give yourself a goal: one of those hours you were going to spend falling down the Instagram rabbit hole, try reading or walking around your block instead. This is obviously our favorite Happsy choice, and for good reason. It’s not just because we are in the business of sleep, it’s also because sleep is the foundation of a healthy lifestyle. When you have a restful sleep, free of harmful chemicals and flame retardants, you will be more alert and ready to make thoughtful choices throughout the day. 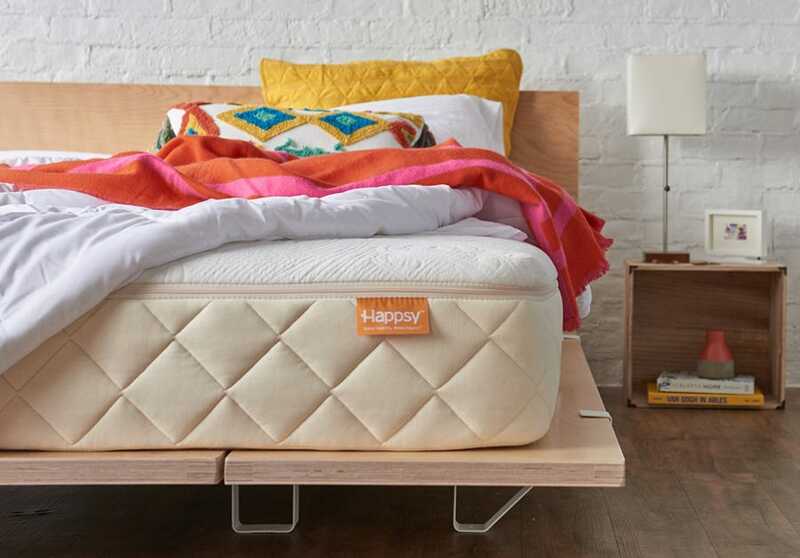 By choosing Happsy, you are guaranteeing your healthiest night’s sleep!